Hump-molded plate with rounded edging designed by Bachleda Tulipware. 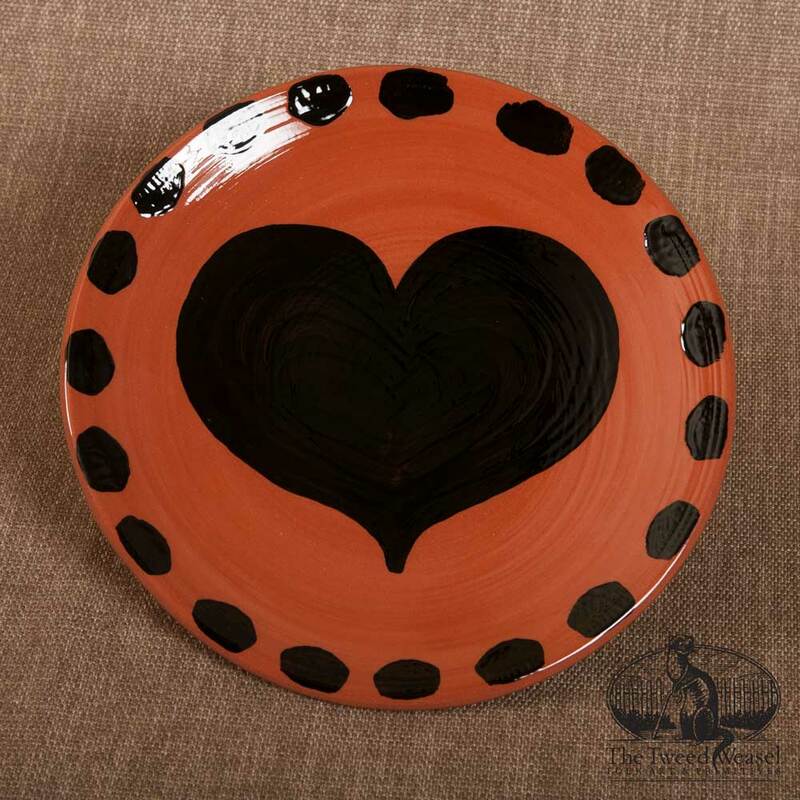 Natural redware clay body with brushed-on black folky heart and spots design. The high-gloss glaze is lead-free and food safe. The mold used is not a perfect round shape, so the rim-to-rim dimensions will vary slightly.